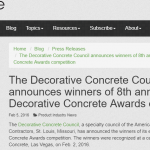 DSSG Charter Member, Bay Area Concretes Concretes, was awarded the Best Polished Concrete Award for industrial solutions for its polished concrete floor installation by Concrete Construction magazine. 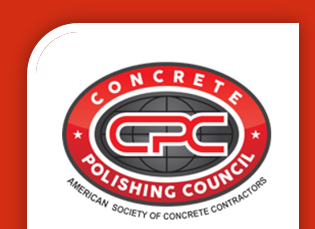 Concrete Construction chose the San Francisco Bay Bridge Caltrans maintenance facility as the winner of the 2015 Polished Concrete Award. 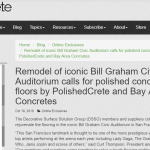 Bay Area Concretes installed the new floors at the Caltrans SFOBB, a new 30,000 square foot building located on the Oakland side of the Bay Bridge. SFOBB is a primary maintenance facility for Caltrans fleet of heavy equipment and vehicles. PolishedCrete installed the RetroPlate polish system on this job and added Welsh Slate as a coloring. The work was completed in ten days and included moving storage racks and patching cracks with MM-80 Metzger McGuire industrial joint filler. The project covered the oil storage room, parts and tool room and the main service bays. The maintenance facility required flooring up to par with their world class standards, and polished concrete was the best option due to its durability and high reflective gloss level while still achieving the slip coefficient they were shooting for. Concrete Construction is published by Hanley Wood one of the largest media companies serving the design and construction industry.